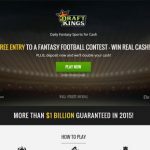 DraftKings lets bettors legally from the US to earn rewards on the side while managing a fantasy sports team to the championships for select sports. Fantasy sports leagues have always been popular, but these games often took months. With the development of daily fantasy sports, players have been able to play games in a day. 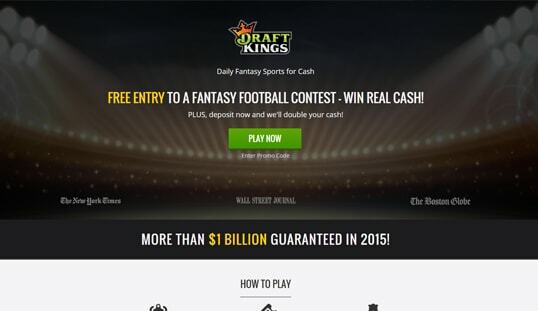 DraftKings is one of the top sites taking advantage of this gaming trend. 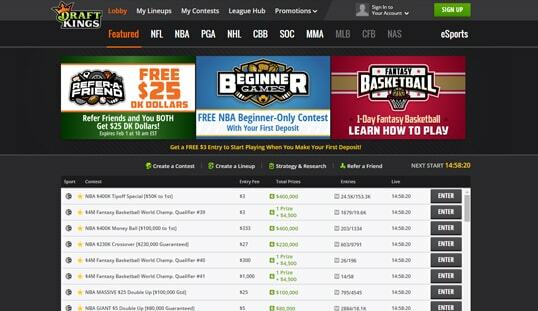 DraftKings is a top daily fantasy sports site dedicated to making the game accessible and profitable for everyone. With over $1.5 billion paid out, the site is an industry leader. It was founded in 2012 and is located in Boston, Massachusetts. It is open to all legal players that are physically residing in any of the 50 US states and Washington DC only. However, those from Arizona, Hawaii, Iowa, Louisiana, Montana, Nevada, and Washington can still play the games but only those that do not offer prizes. The site’s main offering is fantasy sports. There are over a hundred contests in which players can participate in a wide variety of sports from football to hockey. Players just enter a contest and start building their team. 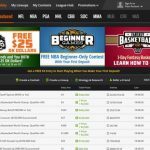 Expect to find daily leagues for fantasy sports like baseball, basketball, football, golf, hockey, MMA, NASCAR, soccer, and college football and basketball. The site is very easy to use. Just click on a contest to enter it and you can start building your team. You will have access to the latest stats and advice from experts. Once you are done, just click submit and the numbers will start crunching. You will be notified of the results when the time on the contest expires. Creating an account on DraftKings requires players to give their e-mail, a password, date of birth, telephone number, address, and their full name. After that, you can start playing immediately. Note that the site tracks the location of its bettors to assure that they are legally gambling. If you are behind a proxy, overseas, or in a state where DFS is illegal, you might not be able to play. Moreover, players whose identity is not validated will be required to submit documents. The site accepts most major credit cards for deposits, including Visa, MasterCard, American Express, and Discover. PayPal and select gift cards are also honored for deposits. Unfortunately, these are only in fiat currency. Withdrawals are the same. This is reflected in transaction times that usually take two to eight business days. DraftKings has two main promotions. One of them is the 100% Welcome Bonus and the other is Refer-a-Friend Bonus. The welcome bonus matches your deposit up to $600. All you have to do is click on the bonus when you deposit. You can also start playing with a free entry worth $3. The Refer-a-Friend bonus is a commission that you get from the total amount of your friends’ deposits. You get 35% of the amount, with a minimum deposit of $5. The difference here from normal casinos is that a player can only access these bonuses after exchanging from Frequent Player Points, with $1 equal to 100 FPPs. 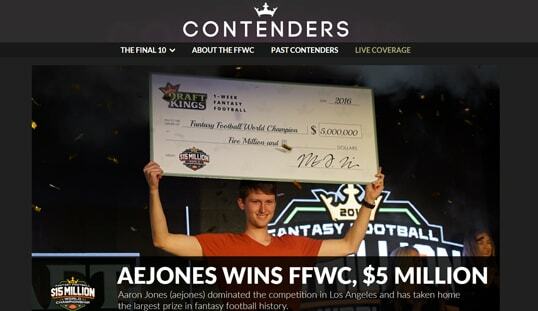 You earn FPPs by playing paid contests on DraftKings. Once you have earned enough points, you can redeem your bonus. Be warned though: bonuses only last four months before they expire so you need to earn them quick. 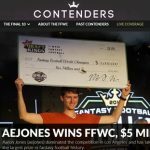 The site also offers weekly promotions, so players who want to get the most out of their bonuses should keep their ear to the ground about DraftKings’ latest offerings. DraftKings can be played on mobile devices. Just download the app and you will be set to go. The DraftKings mobile app is available for Android and iOS. The main line of support for DraftKings is its e-mail. During the weekdays, expect your e-mail to be answered between 9 a.m. and 11 p.m. Weekends have shorter support hours: 11 a.m. to 7 p.m.
What Would Get Millennials to Place Bets Online?